Once a year in the spring the fairies take off their wings and walk in the park. They bask in the warm sun and enjoy everything around blooming, greening and looking nice. 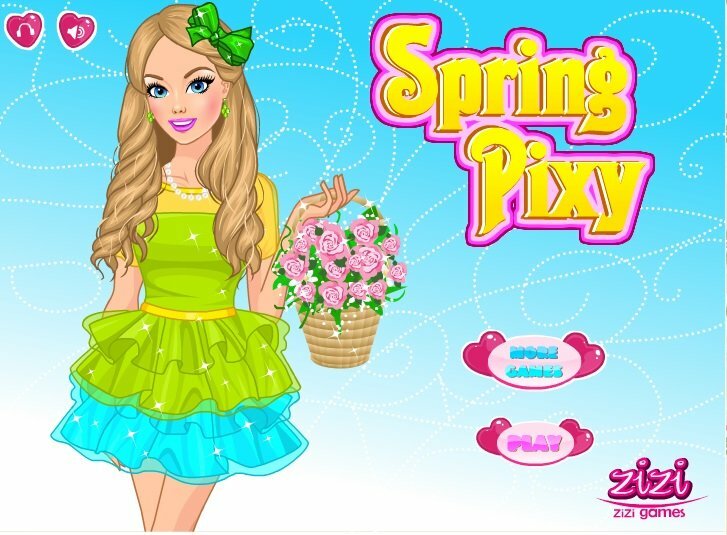 In this dress up game you will be able to choose a new outfit for a walk in the park for our fairy. Use your mouse to choose what you want her to try and lift her mood by this! Played: 131967. Added: 29-12-2014, 01:03. Cool look for beautiful girl!